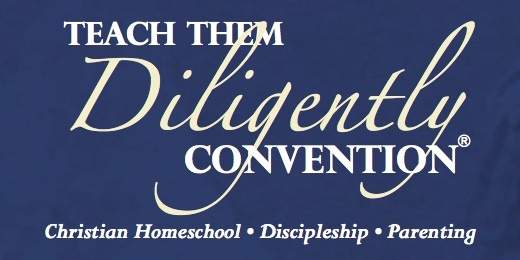 The time is quickly approaching for the Teach Them Diligently Homeschool Conference!! This is a special event for me and my family. Actually, it is this event that some years ago, got me into blogging and speaking up on homeschooling and the role of a dad in homeschooling. April 28th – April 30th is the dates for the Atlanta event. If you have not made reservations, WHAT ARE YOU WAITING FOR?!?!?! Ladies, the speakers at these events are outstanding! Ladies such as Heather Laurie, Marla Cilley, Ann Dunagan, Jeannie Fulbright, Rhea Perry, Rachael Carman, Sherri Seligson, the legendary Leslie Nunnery and many more! From these ladies you will gain insight that is unbelievable. Not only that you will learn that you are not alone in the struggle of homeschooling. The in’s and out’s of how to make homeschooling easier or at least less confrontational! Then on Friday night, Rachael Carman does the Evening of Real Refreshment For Moms. This is a favorite for my wife! I think there is something to do with chocolate at this event? There are men that speak at this conference as well. 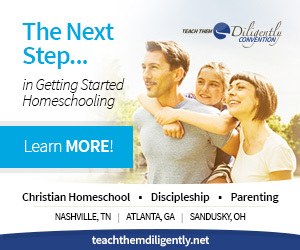 Men with strong words to tell you and guide you on how homeschooling success depends on your participation in the home! Men like Mark Hamby, Jim Woychuk, Todd Wilson, Scott Turansky, Israel Wayne, Norm Wakefield These men have been in the trenches, they have pushed through, they have words of wisdom that you need to hear! These men are here to also let you know that you are not alone in the homeschool struggles that you face as a dad. Mark Hamby has a session that will speak volumes to your heart, “Raise Them Up; Don’t Crush Them Down”. Dads, get to this session! I normally don’t lift sessions above others, but for the men, I would on this one. If you are not able to sneak away with the wife to this event and you bring the kids, well check this out! There is a children’s program for kids ages 4 – 12, a drama program for kids 12 – 18, a robotics program for ages 8 – 18, and a FOUR-12 Teen program as well. Last year my kids participated in the drama program and loved it. In previous years they enjoyed the children’s program. Now the robotics program is coming to Atlanta and I want to be part of that. So, as you can see, there is something for everyone in the family! The only thing missing is you! Here is the schedule of speakers in Atlanta. Make plans as a family or as a time away for the two of you to come to Atlanta or one of the conferences. It will be something that you will remember from now on as you homeschool. Words that you hear will echo back to your memory as things happen in your house, as words are said, or events take place. I know this event in the past has helped me become a better husband for my homeschooling mom, and I think it would help you as well dad. Hope to see you there!